This statistic represents the number of passengers travelling through London Heathrow Airport in 2017, by region of origin. 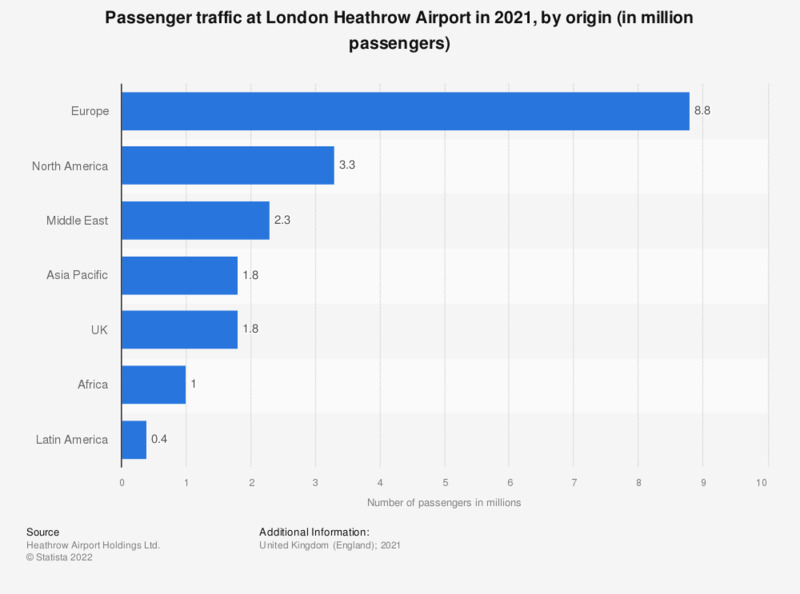 In this year, London Heathrow Airport handled approximately 78 million passengers. Approximately half of passengers passing through London Heathrow Airport were either flying to/from airports within either the UK or Europe.